Is going taller the only way to fund Bangalore’s infrastructure needs? A recommendation in a recent report to do just that has sparked off a heated debate between two of the city’s influential elites on the future of the city and its skyline. What started off the skyscraper debate was the recent re-submission of the Karnataka Information and Communication Technology Group 2020 (KIG-2020) Report titled ‘Karnataka’s roadmap to global leadership by 2020’ to Chief Minister Siddaramaiah. In it is a recommendation to allow for more high rises within the city, charging a toll for doing so and using that money to fund the development of the city’s infrastructure. The KIG was setup by the government with T M Mohan Das Pai as its Chairman, to come up with a strategy to leverage the state’s global image in IT as well as its thriving Knowledge economy to generate more revenue for state (Rs 400,000, up from Rs 135,000 crore in 2012) , more jobs ( 20,00,000, up from 8,00,000 in 2012) and to nurture new startups (1000+). According to the report, one of the keys to achieving these targets was to improve Bangalore’s infrastructure, its working and living conditions so that it continues to attract international investment. The cost for doing this? Rs 2,55,000 crores according to the group’s estimate. How to finance this? The group decided that Central and State Government Funding took long to come through and that increasing city taxes required legislation; so the best way to finance it was the creation of an infrastructure fund. How to raise money for the fund? The group after weighing its options, (Page 102 of the KIG-2020 report) decided that charging a premium to allow increased Floor Space Index or Floor Area Ratio (FAR) was the best way to do it. This, in other words, means pay a fee and you can build taller. Factors such as plot extent, maximum ground coverage and the road width govern the permissible FSI. This means that currently there are limited options for builders wanting to build higher. What the recommendation proposes is to allow people to construct above the permitted FSI but only after paying a premium for it. 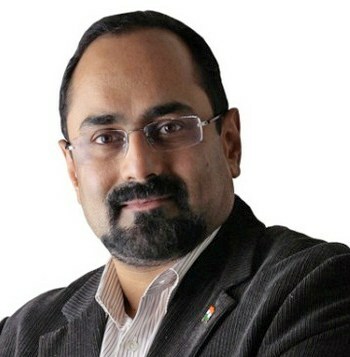 Rajya Sabha MP, Rajeev Chandrasekhar has objected to this model of funding, stating in his letter to Chief Minister Siddaramaiah, that the proposal in the report does not take into account the existing infrastructural constraints in the form of adequate roads, water, electricity and civic services required to service the additional Floor Space Index. “It represents a surrender of the city’s development to the commercial interests represented by builders, contractors and real estate companies – many of whose commercial interests are directly responsible for the problems faced by the city and residents,” Chandrasekhar writes. In his letter, Chandrasekhar contends that development of the city, including various contracts and projects, has been influenced by vested commercial interests of some builders and contractors, who according to him have overtaken the planning of the city. What is Floor Space Index? Floor Space Index (FSI), Floor Area Ratio (FAR) and Floor Space Ratio (FSR) are terms for the ratio of a building’s total floor area to the size of the piece of land upon which it is built. The terms can also refer to limits imposed on such a ratio. Thus, an FSI of 2.0 means that the total floor area of a building is twice the gross area of the plot on which it is constructed. “We are all aware of the large number of elected representatives who also have deep and conflicting interests in real estate that has become almost symbolic of the poor governance of our city. There is an urgent need to put an end to such a nexus between contractors and officials acting against public interest. In such a scenario, any proposal like the one mentioned, despite by being backed by highly visible industrialists, must be seen as what it is,” he says. When asked by Citizen Matters to respond to the criticism, Mohandas Pai, who is the Chairman of the KIG, in an email reply, said that objections raised by Chandrasekhar were unfounded and devoid of facts. “Every city in the world has a central core which is high rise, then a ring around which Is medium rise and then the suburbs. Bangalore is getting 42 kms Of Metro soon, the phase-II of 72 kms is getting approved shortly, (At the time of writing this article, it has been approved with some conditions ) and the study for phase-III would start soon. This would make a total of 250 kms of Metro by 2020. This will ensure access and reduction in need for people to take personal transport, thereby reducing traffic. The existing constraints will reduce. The KIG report also recommends a series of roads which will enable easy commute from one end of Bangalore to another in 60 minutes. This, coupled with the Metro, will dramatically change Bangalore,” he says. According to Pai, there is no surrender to anybody as the funds raised from higher FSI would go to fund the infrastructure need of Rs 2,55,000 crore over 12-15 years. “The FSI is for all owners of properties in the core areas and all properties are not owned by builders, contractors or real estate companies. A substantial part is owned by government and citizens themselves,” he clarifies, indicating that calling government and a large number of citizens as commercial interest isn’t right. Pai goes on to say that the increased floor area would reduce prices and costs for business, create huge jobs and aggregate business reducing costs of commute and concentrate activity. “The existing arrangement of low FSI in the core is the source of high prices and the sprawl of the city. The high prices are due to vested interests which want to keep prices high and to keep it for a privileged few. The recommendations will break the stranglehold of vested interests which want to keep real estate prices high as they do not want the supply to increase. All cities globally follow this norm as recommended,” Pai adds. Kathyayini Chamaraj of CIVIC says that the city will not be able to handle anymore densification. “Our water and sanitation infrastructure is already under tremendous pressure. If higher FSI is allowed, then the entire sewerage network in the core area will need to be replaced. Apart from this, there is shortage of water in the city. According to the BWSSB, the city has already overdrawn the water it can get from Cauvery. With the city’s lakes unlikely to revived anytime soon, where will the city get water to support more people?” she asks. Koramangala resident Vijayan Menon says he is wary of using the FSI model to raise funds. He says that though the government promises to augment infrastructure to facilitate the higher FSI, “It’s highly likely that the FSI increase will happen even before the basic services like water, sanitation are in place to deal with the increased pressure.” Menon also adds that systems have to be in place to ensure that the funds mobilized will be used efficiently and in a transparent manner, well before the government finds new means of funding infrastructure development. According to V Ravichandar, the group held consultations with lots of individuals, groups and government agencies. “It is likely that some groups have been left out in this process. This report is a submission by the IT/BT group thinking holistically about creating jobs and improving infrastructure – physical and social. It does not have to be the only one. Let there be more ideas tabled and may the best ideas be implemented,” he suggests. Kathyayini Chamaraj also says that they were consulted during the preparation of the report, “but there needs to be more widespread consultations, especially at the grassroot-level before such policies which affect the lives of so many people are implemented,” she adds. When asked about his reaction to high rises in the city, Bangalore in-charge Minister Ramalinga Reddy said that he was not aware of the recommendations. “I will comment about this only after going through the recommendations in detail,” he said. The KIG submitted its report and recommendations to the then CM, Jagadish Shettar on January 9, 2013. The government issued an order dated 29 January 2013, accepting the recommendation and said that it had decided to implement the recommendations in phases. It has also set up a high level implementation committee to push forth the initiative and monitor the implementation of the recommendation in the time frame. Members: Additional Chief Secretary- Finance Department, Principal Secretaries of Urban Development, IT-BT, Industry & Commerce, Higher Education Departments, Commissioners of BDA & BMMP, Chairman of BWSSB, Directors of Town Planning, IT-BT, Employment and Training Departments, Secretary of Primary and Secondary Education Department. Click here to read the government order in this regard. After the election, the report was re-submitted to new Chief Minister Siddaramaiah recently. Sriram Vittalamurthy is a Bangalore-based freelance journalist. It was a tight race and leads changed during the counting. Deve Gowda of the JD(S) led initially and then lost in the end to the BJP incumbent, Ramachandra Gowda. Here’s the final tally. Firstly the flat constructin in smaller sites should be stopped. (4to5floors)why BBMP is not inspecting such constructions.Have they ever inspected the spots? Violation of building byelaws violations are rampant..Neighbours are deprived of fresh air and ventilation. Shifting of I T and other industry is the only solution Provide all ifrastructure to smaller towns and providetax rebates as done in the past. Bangalore is FULL and unableto take further load. Mohandas Pai says in the article that the low FSI keeps the property prices very high. But why doesn’t anyone point out why property prices are increasing so rapidly (most people cannot anymore afford to buy a site or independent house in the city) in Bangalore? Isn’t it because any Indian (resident or NRI) anywhere in the world who is flush with money can pick up the property in Bangalore? Isn’t this same as hoarding property? In the ‘Internet’ space, an international law has been put in place to ensure that domain names (e.g sony.com or xyz.com) cannot be registered unless the person is linked with that organization or genuinely appropriate. Before this law there thousands of cases where people registered domain names and then sold to the real company at very high rates. Similarly, there has to be a law that will restrict property purchases only to those who have been resident for a certain time in Bangalore & surrounding areas. This will automatically bring down prices enormously. Maybe the lawmakers don’t create such laws because they are one of the primary beneficiaries of the current free-for-all property market. Very interesting article and report. This is what concerns all bangalore residents. Bangaloreans have seen their city deteriorate as city infra spending has not kept pace with growth over last twenty years. Every year citizens life will deteriorate unless large scale investments in city infrastructure is not made. In india and other city governments world wide have hesitated to tax existing residents and raised resources from newer residents for fixing the city infrastructure for all residents. It’s important that we come up with ideas how to fund such a massive inestment requirement which will improve our living conditions over several years. We should as a city avoid going the Bombay way. Where everything is crumbling including leadership. This funding is one such idea. Need more ideas for resources. 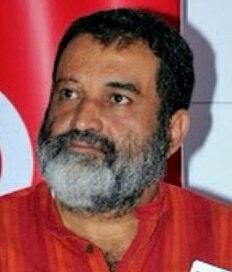 Mohandas Pai is a pure Industrialist, with absolutely no regards to what happens decades down the line. One of the many articles which I would like to quote would be one is DH “India’s salvation not in villages”. He surely might be a great achiever in personal front but his opinions will spell disaster to the society in the long run. The report is just table top report without proper format and substance as it covers only issues of Bangalore and its IT elite. There is no indication that how the study was conducted and who are the people being consulted and especially public and other stake holders. Even no urban expert was consulted on important infrastructural issues.It is most impractical targets/promise which in any Indian state or city cant do it. It is simply a grand castle in the air. it is just bundle of some 3rd class newspapers and it must thrown into the dustbin. Didn’t BWSSB just put its hands up and say there’s no more water to supply? Isn’t BESCOM already struggling to provide power to the current population. You can go underground or overground, if population goes up, there’ll neither be water nor electricity for the high-rises. Or will they have enough power to pull these from somewhere else? And before we forget, where will all that garbage go?